This site is dedicated to exposing the deadly heresy of Chrislam which denies the deity of Jesus Christ and seeks to merge the church with Islam. Chrislam is one of the many end times deceptions warned about in the holy bible. You knew this day was going to come, when the liberal “love gospel” preachers who, desiring to fill their seats and bank accounts, would find a way to merge apostate christianity with the Devil’s religion of Islam. That day is here. 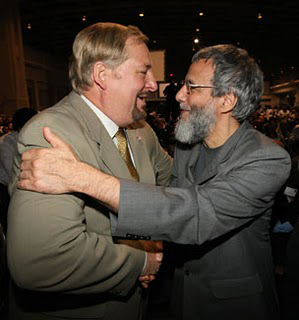 Rick Warren, founder and pastor of Saddleback Community Church in Orange County California, addressed the convention of the Islamic Society of North America. Warren stated that Muslims and Christians must work together to combat stereotypes, promote peace and freedom, and solve global problems. Christians and Moslems – faith mates, soul mates and now work mates! Chrislam! “Before we “shake your hand” in responding to your letter, we ask forgiveness of the All-Merciful One and of the Muslim community around the world.” – Rick Warren in a speech to Muslims. This is the first such effort I’ve heard of by an evangelical mega-church. Many evangelicals regard Islam as Christianity’s number one enemy, and they do not at all agree that the two faiths worship the same God. This is likely to make waves. One of the greatest tools of the Chrislam crowd are the modern bible versions which strip Jesus of His deity, takes away the fact that Jesus came to heal the broken hearted, and thousands of verses that speak to your salvation and the saving power of His Blood. 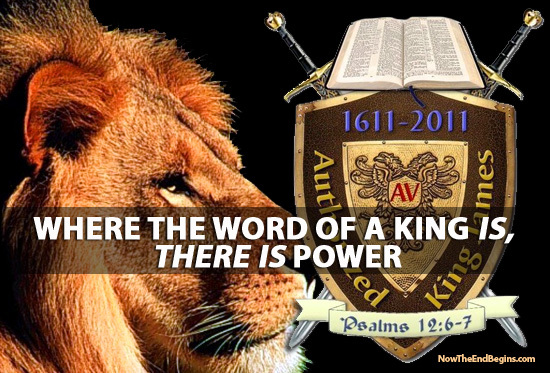 We are proud to stand with and stand on the King James Authorized 1611 Holy Bible as the revealed word of God, as God wrote it, and as God has preserved it. Read the King James from cover to cover and you will see very clearly why Christianity and Islam could never be mixed. Why there is no 'common ground' between the bible and the Koran, and why the 'Jesus'of the Koran has nothing in common with the Jesus of the holy bible. Part of truly exposing Chrislam is a return to the King James Bible. Drs. Jack and Rexella Van Impe have prepared this powerful video expose to show you how this dangerous trend fulfills Bible prophecy - and threatens to destroy Christianity. Jack's stand on Chrislam got him booted off of TBN after 23 years of preaching and teaching the bible on that station. the dual-headed monster of Chrislam. in the which you will hear him discuss nuggets like the importance of globalization, how Christians and Muslims need to "lay down their differences" and work together, and so much more. 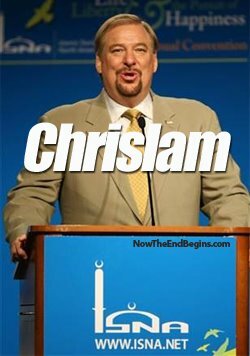 Rick Warren, in his own words, has no problem with the concept and doctrine of Chrislam, he just doesn't want his own name attached to it. 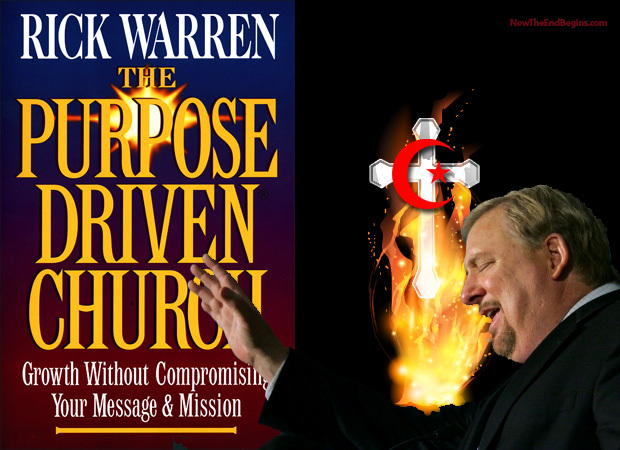 Rick Warren has spent MILLIONS to change your church to a "campus" as he works to bring in his new age hybrid style of worship known as Chrislam. Please watch the video and understand this demonic end times assault on the Christian church.